Archives : STEP BY STEP, MARKET STILL TRIES - 01/04/2010. STEP BY STEP, MARKET STILL TRIES –01/04/2010. Market continues its baby steps in breaking the 52 week highs. Successful, it was in the week gone by, but only for a while and not on a closing basis. As a result the struggle continues. The market managed to make a new high at the start of the week; Sensex made a high of 17793 as against the previous high of 17790 and Nifty crossed the previous high of 5310 to make a new high of 5329. But after registering the 52 week high, the market was not able to sustain the higher levels and as a result of profit booking, the market went lower. However the Sensex managed to bounce from 17488 and Nifty from 5235. Thus the Sensex has confirmed strong support between 17488-17337 and Nifty 5235-5187. 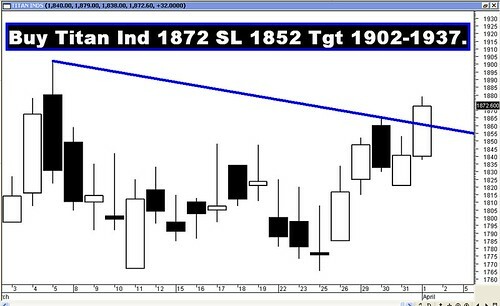 TO READ FULL ARTICLE CLICK"MORE"
CLOSE ABOVE SENSEX 17800 AND NIFTY 5310 REQUIRED. Both Sensex and Nifty have rallied for past 8 weeks, making white candles every week. After such a long rally, it is not uncommon to see the indices taking a break before resuming the upward rally. Thus the current week can be considered to be a week of consolidation, before the market resumes its upward journey. But at the same time, one has to note that despite three attempts, the market was not able to break the strong resistance level of Sensex 17790 and Nifty 5310. Strong upward momentum will be witnessed once the market breaches and closes above the resistance level of Sensex 17800 and Nifty 5310. 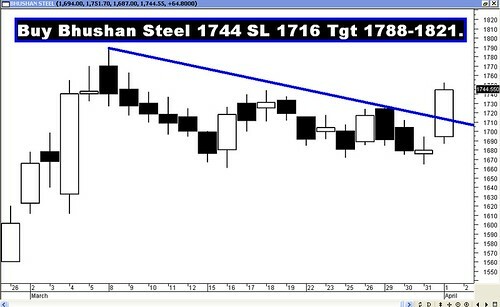 The Sensex opened the week at 17639, made a high of 17793, a low of 17488 and closed the week at 17692. The Sensex closed the week with a minor gain of 48 points. Similarly Nifty opened the week at 5283, made a high of 5329, a low of 5235 and closed the week at 5290. The Nifty too closed with the week with a small gain of 8 points. As a result Sensex has formed a small white body Spinning Top on the weekly charts which is a neutral formation and lot will depend on the candle formation in the coming week. 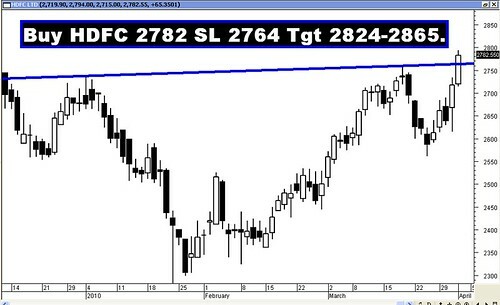 On the same lines the Nifty too formed a Doji on the weekly charts, which again is a neutral formation. Strong Opening white Marubuzo formation on the daily charts on Friday raises some hope for the bulls in the next week. Oscillators are painting a mixed picture once again and as a result the journey of the market in the coming week will be embedded with volatility. The momentum oscillators like the ROC, MACD and OBV continue to be in their Buy mode. Oscillators which were in overbought territory last week, have now moved lower and certain oscillators like the Stochastic Oscillator and MFI have even given a Sell signal. ADX is strong at 35 indicating that the current trend is strong, while the Directional Indicators continue with their Buy signal. The Sensex and Nifty are trading well above their 61.8% retracement of the entire fall i.e. Sensex from 21206-7697 and Nifty from 6357-2252. The next Fibonacci retracement level 78.6% which will provide some resistance will be at Sensex 18315 and Nifty 5478. Hence one can expect some sort of resistance around those levels. Sensex and Nifty have made higher bottoms at 17337 and 5187 respectively as compared to the previous bottom of Sensex 17061 and Nifty 5101. In the week gone by, Sensex bounced back from 17488 and Nifty 5235, thus confirming a support zone between Sensex 17488-17337 and Nifty 5235-5187. This support zone should not be breached if the short term trend is to stay up. From the medium term point of view, it is necessary that the Sensex holds the support zone of 17061-17027 and Nifty 5101-5092. Both the indices have given a Bullish Flag breakout and as a result of this, the Sensex has a target will have a target of 18091 and Nifty 5419. Sensex has Trendline Resistance at 18124 and Nifty has strong Trendline Support at 5178 and Trendline Resistance at 5458. On the higher side the Sensex is likely to face resistance in the zone of 18091-18124 as 18091 is the target for Flag formation and 18124 is the Trendline Resistance. Similarly Nifty will face strong resistance in the zone of 5419-5458 as 5419 is the target for Flag formation, whereas 5458 is the Trendline resistance. Nifty OI PCR is quite steady at 1.33, which indicates that the market is still in a bullish mode. Strong Put writing is seen at 5200, which should act as strong support in case of a fall. Call writing is seen at 5400, which supposedly should provide resistance going forward. For the week ahead, Sensex will find Support at 17488-17337-17171 and will find Resistance at 17894-18047-18182. For the week ahead, Nifty will find Support at 5235-5187-5110 and will find Resistance at 5368-5409-5458. Last week all our recommendations reached their targets, only Axis Bank missed by a whisker. The star performers were Hindalco and Titan.